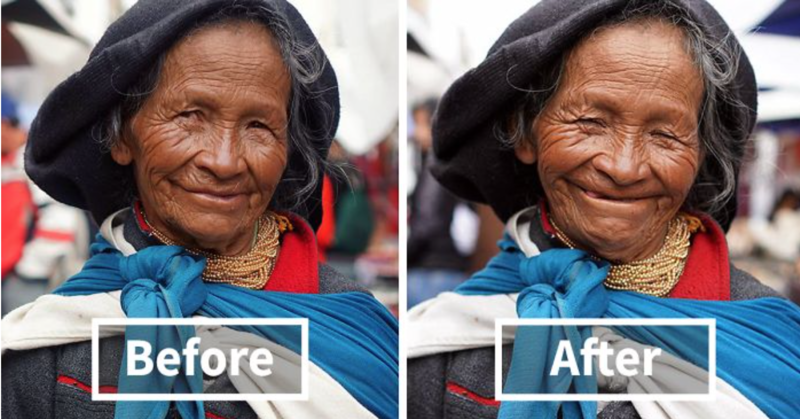 This travel photographer captures photos of people before and after they're told they're beautiful - and the result is heartwarming. Everyone needs a genuine reminder now and again of how stunning they are – both inside and out. Fortunately, a travel photographer named Mehmet Genç is helping to remind people of their brilliance while he explores the world. Genc, who prefers to be called Rotasiz Seyyah (which roughly translates to “nomad without a route”), was born in Turkey but now calls the entire planet his home. After spending six years in Istanbul working in the IT field, he quit his job to travel the world. He says, “Fools’ courage can sometimes help you make the most important decisions in life”, and it seems the decision to travel has been one of the best for him thus far. The photos below are from his project titled “You Are So Beautiful”. When he meets new people while he travels, he photographs them as they are then once again after he reminds them that they are, in fact, stunning. In each instance, a sweet and similar reaction is witnessed in those who are told they’re beautiful. Presently, Genc is traveling through Manaus, Brazil. You can follow his journey on Instagram.